I don’t have a huge pantry or a huge freezer but lately it has come to my attention how many unused items I have, so why not challenge myself to eat everything that I have during August? 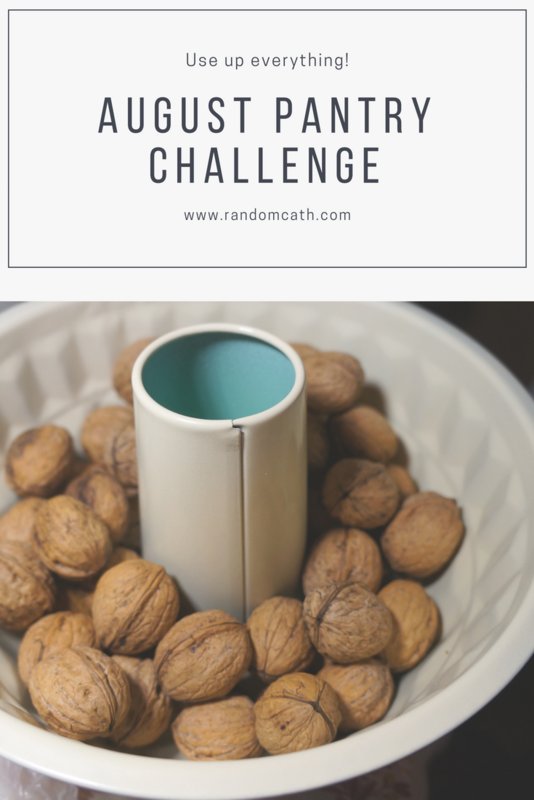 I have very loose rules for this challenge as it’ll be impossible to feed two for a month with only the amount of food that I have in the kitchen. We definitely have some items that were bought and half of the package is still in the pantry so I’m challenging myself to use these. Here are the items that worry me the most, please let me know if you’ve any recipe recommendations! Zucchini – I’ve been using it a lot but we’re being given so much of this and the seeds that I started in my apartment were transplanted to my parents and it’s giving huge zucchinis – which is so cool but I’m quickly running out of ideas of different ways to use it up – especially because Daniel is not the biggest fan of zucchini 🙂 We’re eating zucchini almost every day to use it up!